Just a simple little tip today. 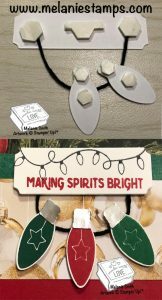 When “Hanging my ornaments I strategically placed my Stampin’ Dimensional on the back of my light bulbs so that they look like a string of lights. 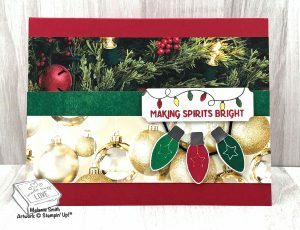 In the finished sample below I simply colored in the string of lights and added this focal onto a simple striped background featuring the All Is Bright Designer Series Paper. Love Love Love this paper!!! Small note… The die that I used for the sentiment is from the Merry Christmas To All Thinlits Dies. I have linked both the bundle and the individual die set below in case your wanting to look closer at them on the website. 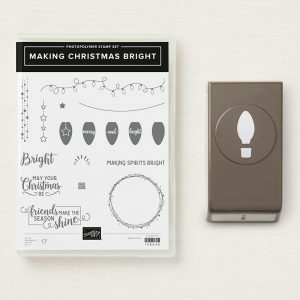 This week we will be playing with the “Making Christmas Bright” & the coordinating “Making Everyday Bright” stamp sets. 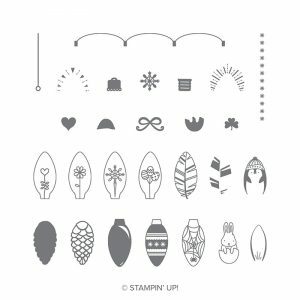 These two stamp sets work together beautifully and come with a coordinating punch as well. I always love bundles with a coordinating punch and this bundle has a coordinating year round stamp set “add on” as well. WIN/WIN! That is why I have chosen it as Monday’s Must-Have. Here is today’s sample. It is a simple, yet striking card. 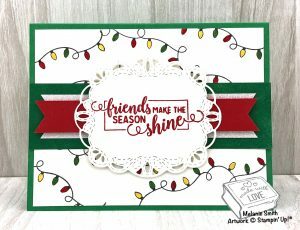 I stamped the background with this amazing “lights” stamp and then colored them in with Stampin’ Write Markers. Then I created two banners using the banner punch. One if made with our new glimmer paper. It is a wonderful high quality glitter paper that does not have glitter falling off everywhere. The focal die here comes from the Stitched Labels Framelits and it is one of my favorite sentiment dies. Below are all the products for this project for easy access to reading more about products on the website.